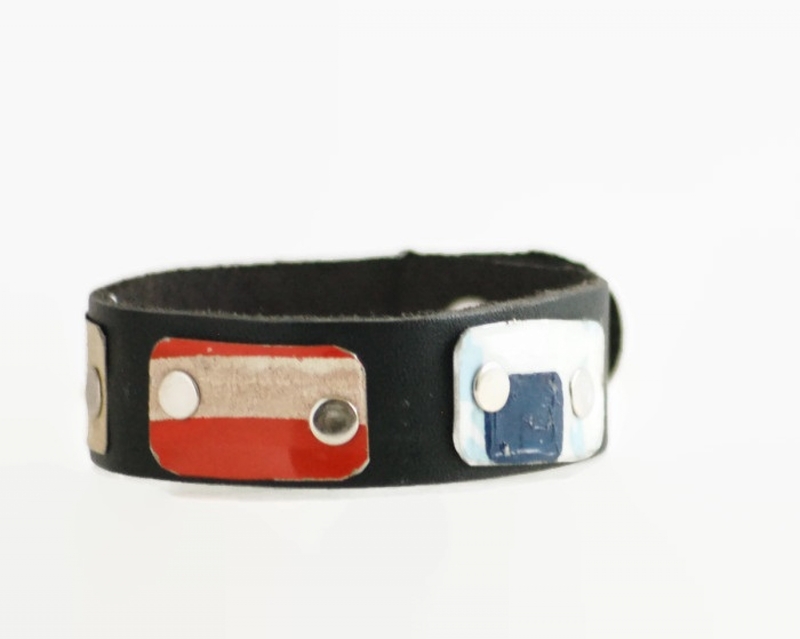 Vintage recycled license plate 'tiles', attached with nickel rivets, circle your wrist on a narrow and supple cuff of black leather. 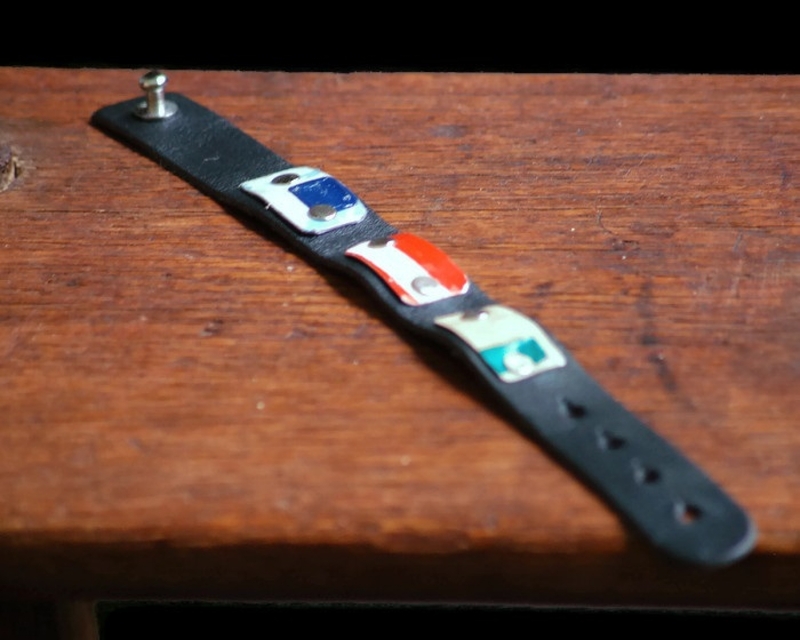 All of the colorful metal pieces are cut from old, retired and vintage license plates found in attics, dusty barns, and farm auctions. 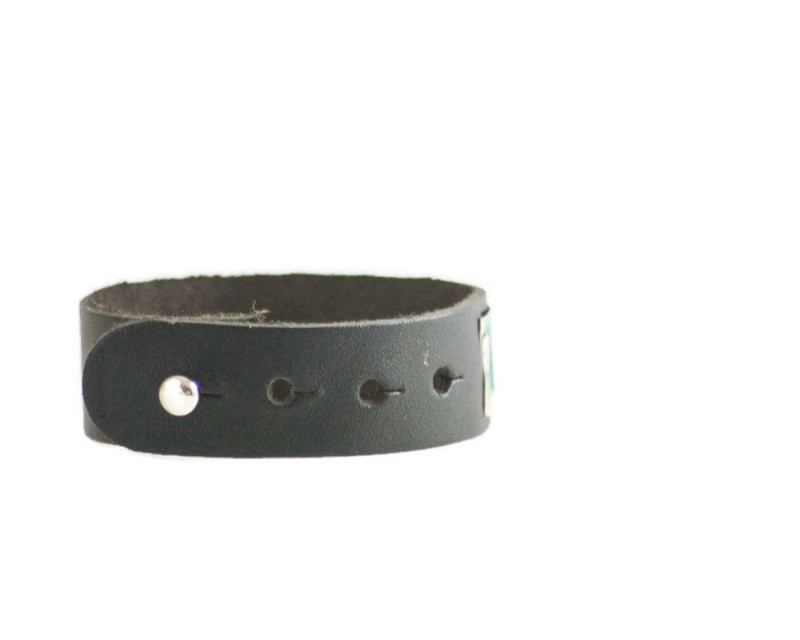 Each bit of license plate edge is filed, shaped and waxed before being riveted into place on the leather strap.This listing is for one bracelet - pictured alone. .75" wide. Post and hole closure. 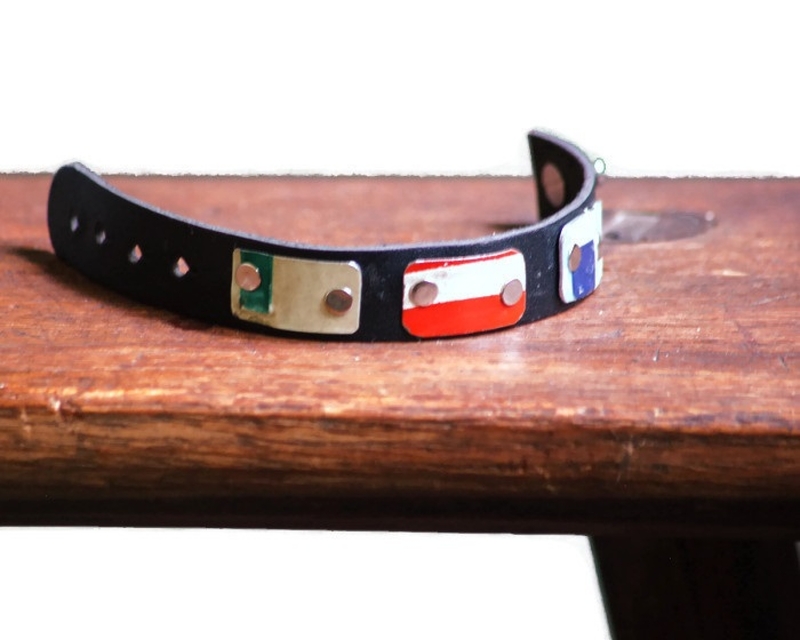 Adjustable. 6.25" up to 8". 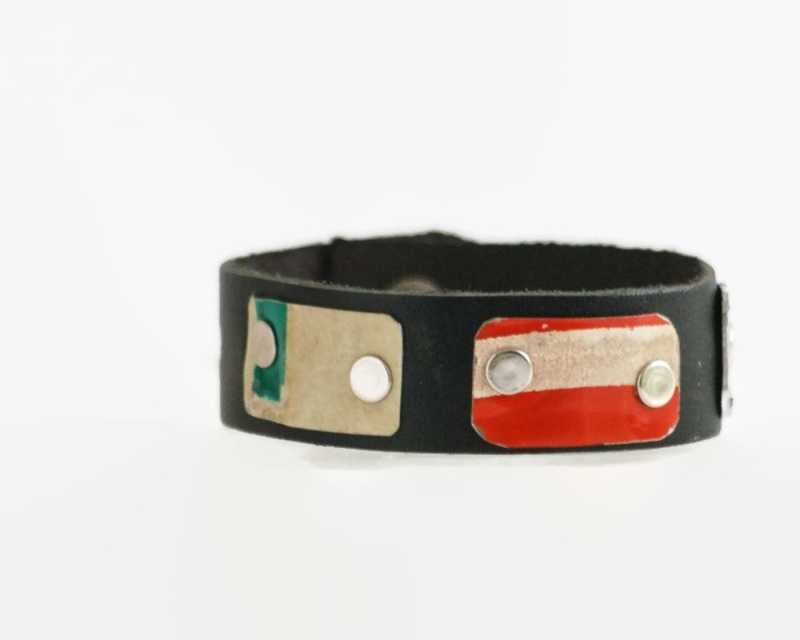 Can be worn loose as a bangle or tight as a cuff.